It’s hard to beat water for family getaways. Fortunately, there are many ways to plan a trip around water. Rent a houseboat. 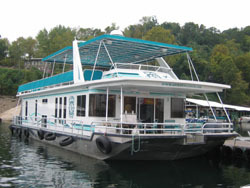 Two-thirds of U. S. states have at least one lake that is suitable for house boating. Rentals are available from Alaska to Florida, from California to New York, and dozens of blue water spots in between. Spacious floor plans and modern conveniences for entertaining, dining, and sleeping bring the best of lake living to your floating hotel. Now is the time to book your rental for next spring or summer. Go beachcombing: Gulf Shores in Alabama and Rosemary Beach in Florida are ideal places to dig your toes into soft sand. Both are located on the protected waters of the Gulf of Mexico. Anytime after hurricane season ends on November 1 will be lovely on the Gulf coast. 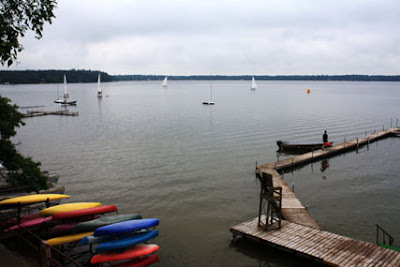 Lounge on a lake: Door County on Lake Michigan in Wisconsin, Grand View Lodge on Gull Lake in Minnesota, Lake Ouachita in Arkansas, and Lake Havasu in Arizona are all ideal places with plenty of fishing, boating, and sporting activities for all ages—plus golf, spas, and biking opportunities. There’s something for everyone at a lake setting. 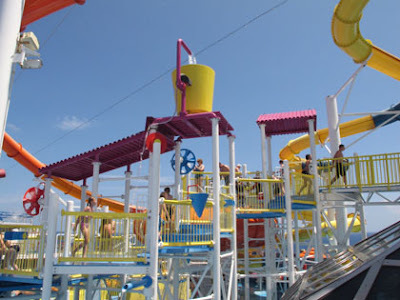 Play at water parks: Schlitterbahn, the world’s biggest and best water park, is headquartered at New Braunfels, Texas but has expanded to other locations including Kansas City. Great Wolf Lodges in Texas, Washington, Ohio, and eight other states give guests a splashing good time—out of the hot sun--at their large indoor water parks. Check websites for operating times during off-season for outdoor parks, although indoor water parks are popular year round. Take a cruise: Newer cruise ships have their own water slides, ropes courses, climbing walls, ice skating rinks, and surf simulators—as well as plenty of pools and hot tubs. Special kids clubs keep youngsters entertained while mom and dad check out adults-only areas. Shore excursions, especially at Caribbean ports, incorporate water into activities like snorkeling, kayaking, zip lining, or horseback riding. Rates are better if you can go during the shoulder season in fall and spring rather than holidays, spring break, or summer.